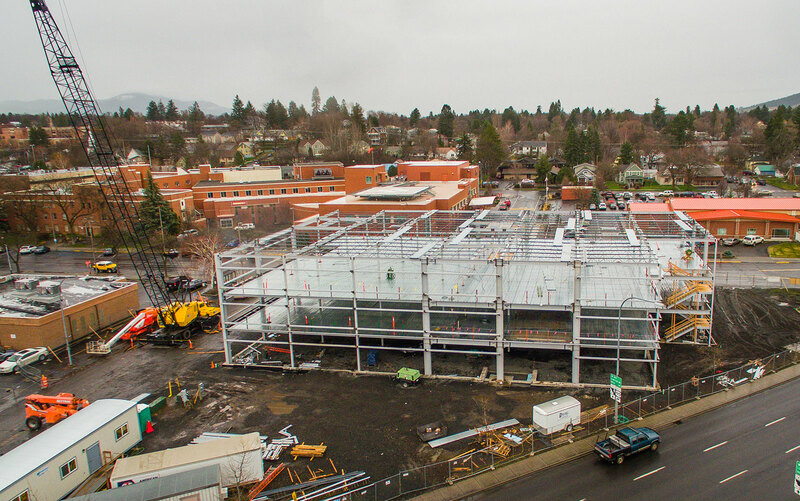 TD&H Engineering provided structural design and construction administration services for Gritman Hospital’s new medical office building (MOB) in Moscow, Idaho. 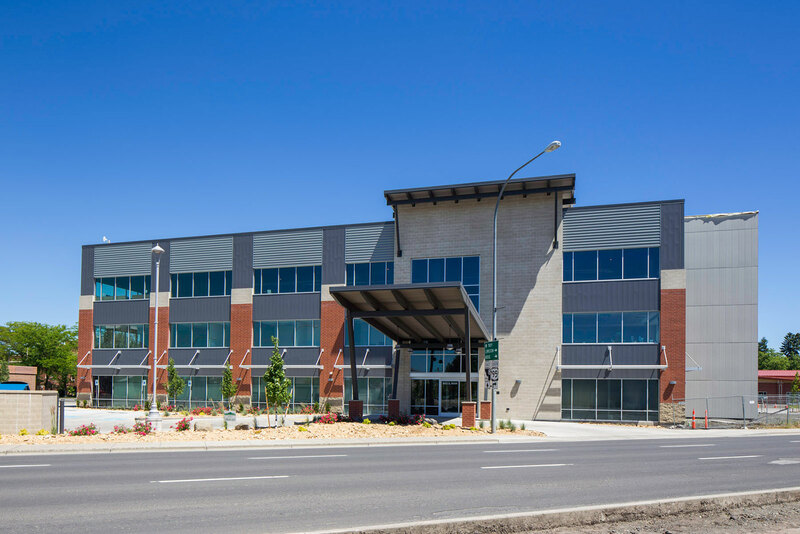 The building is comprised of three floors at approximately 17,400 sq ft each (52,200 total). The building site contained poor soils which greatly impacted the structural design. The foundation system is comprised of helical anchors grouped into pile cap elements at the building column locations. The site class also dictated a special seismic design. 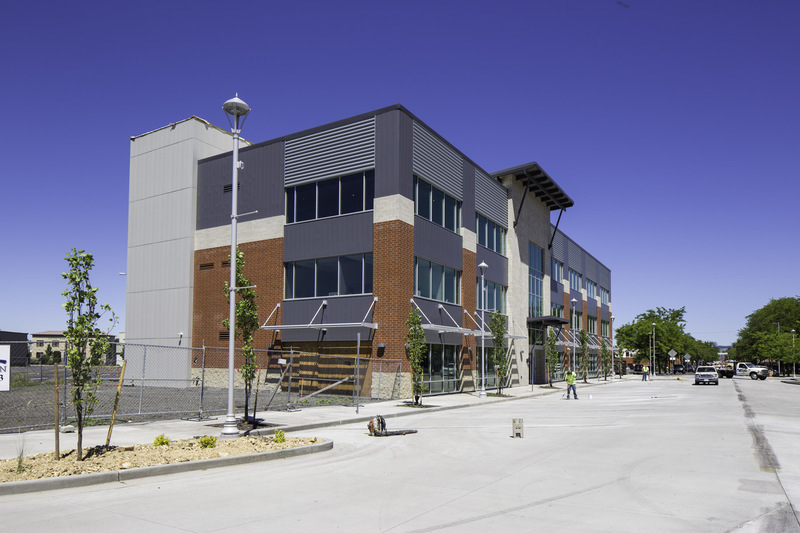 In order to maintain the architect’s very open feel, a special steel moment frame system was incorporated to maximize the window and curtain wall openings around the exterior of the building. The building also featured a large drive thru canopy, a double car elevator system, sunshades, a variety of exterior materials, and a variety of architectural building projections and overhangs.